Unit Text: 268 Bty., 64 H.A.A. Regt. 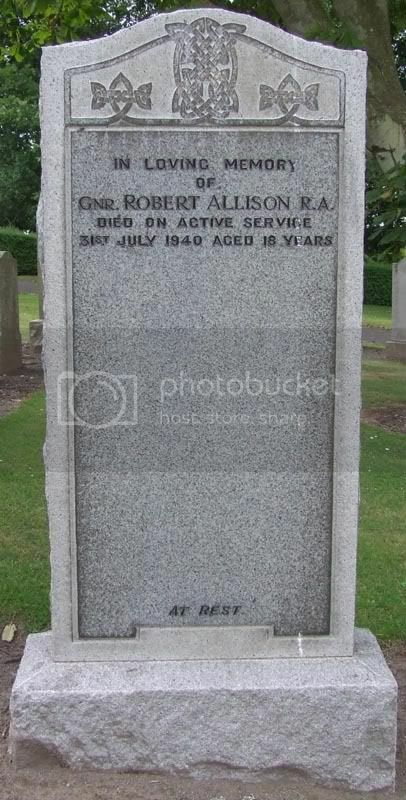 Additional information: Son of James and Elsie Allison, of Inverkeilor. Grave/Memorial Reference: Sec. E. Grave 545. 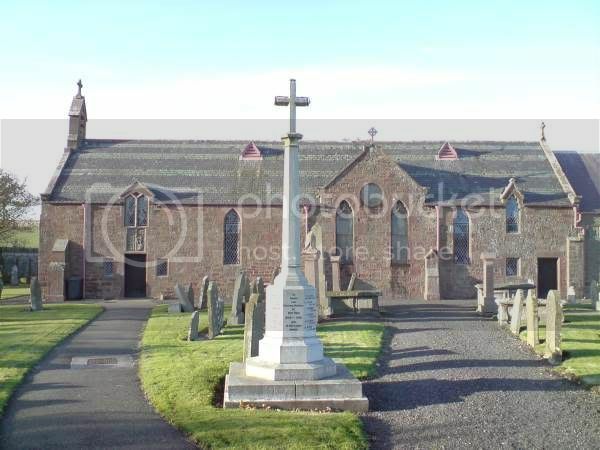 Additional information: Son of William Gordon Carrie and of Betsy Cuthill Carrie (nee Taylor) of Inverkielor. Grave/Memorial Reference: Sec. E. Grave 572. Unit Text: 127 Field Regt. Additional information: Son of William Gordon Carrie and Betsy Carrie, of Inverkeilor, Angus. Grave/Memorial Reference: IV. K. 22. 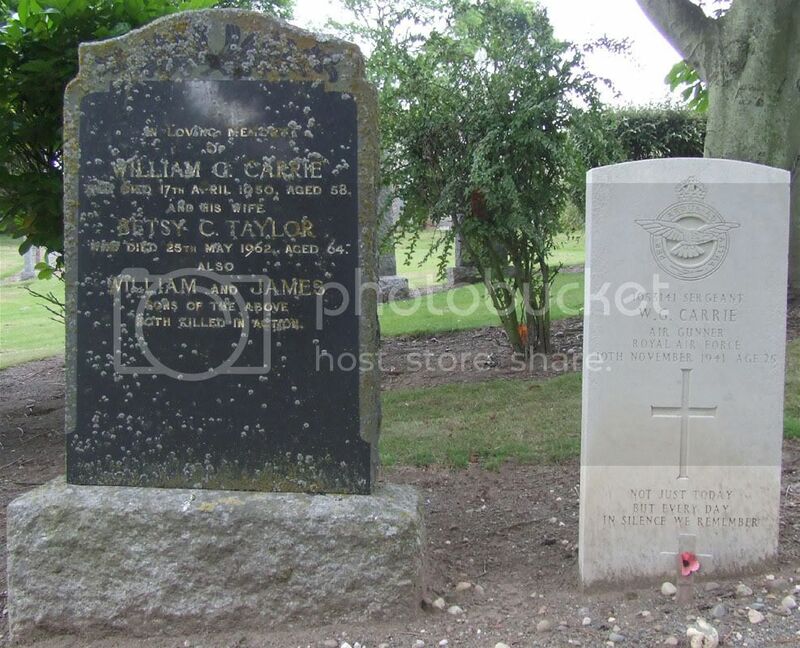 Note Sgt (AG) Carrie RAFVR is listed as killed in action but is buried in a UK cemetery. This text came from Lost bombers website and it refers to the only 144 Squadron plane lost on that date. Although Carrie was not one of the crew it does mention deaths in a plane crash. 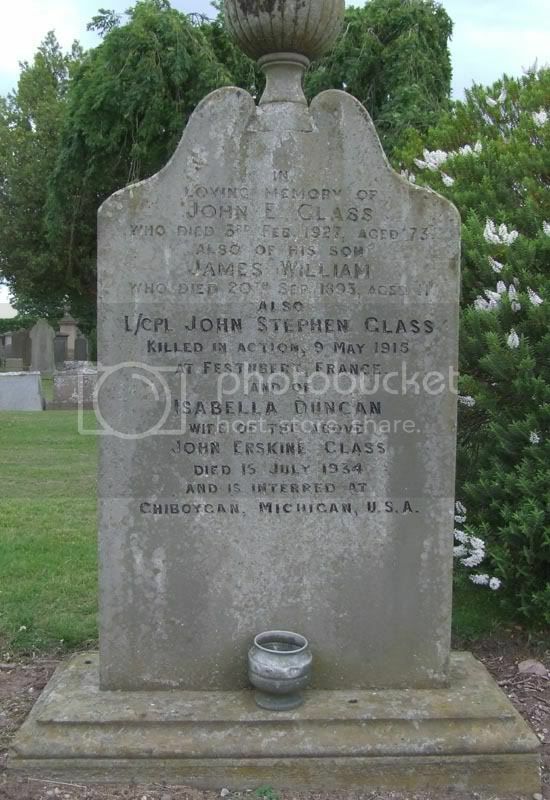 For some reason his first name is missing and the CWGC only list him by his middle name? Grave/Memorial Reference: Panels 24 to 26.